Dante Metaphor shared an awesome set of beautiful wallpapers. They have all the elements of great wallpaper: abstract art, 3D, light effects. That’s the reason to deserve the feature here on ABDZ. The cool thing about this project is not just the outcome, but the reason behind it. 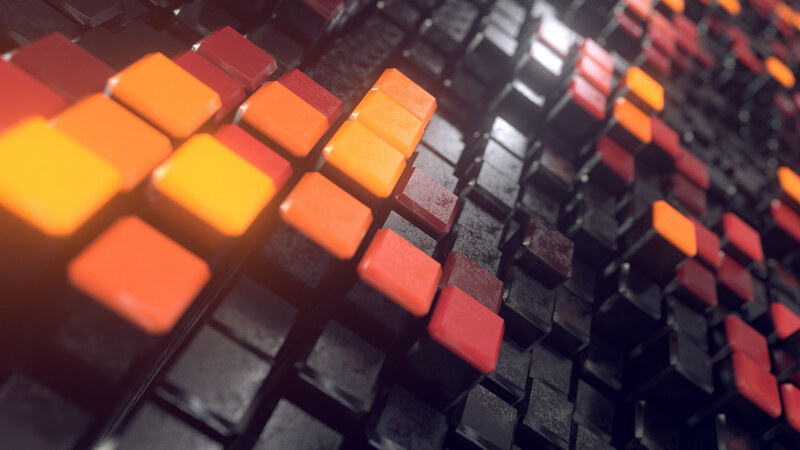 He took the time to learn Houdini and Redshift 3D. There is a huge difference between a website (which can generate leads) and a lead capture page (which is only supposed to generate leads). This is all of the stuff we can do for you. Have a look around and let us know when you’re ready to spend some money! We have this one super valuable thing we want to give you for free. Share your name, email address and maybe a couple of other details and we’ll hand it straight over! There’s also a significant difference in how the two are designed. The only problem with this is that it depicts the design from a traditional desktop perspective. 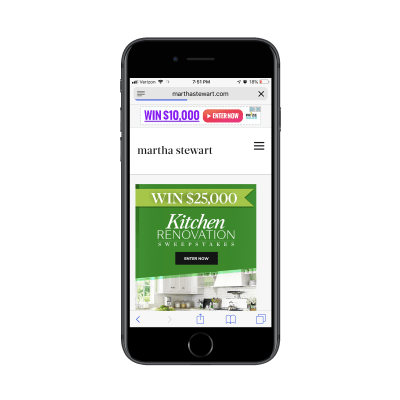 Just as you would consider the differences in conversion between a desktop and mobile website, you have to do the same for their landing pages. 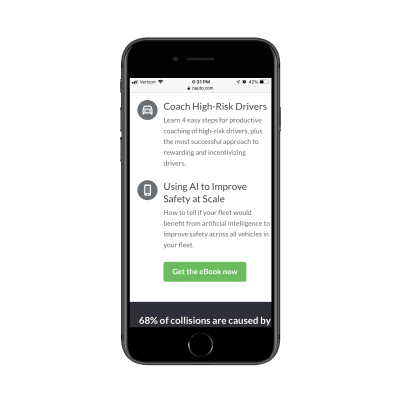 In the following post, I’m going to give you some points to think about as you design lead capture pages for mobile audiences. 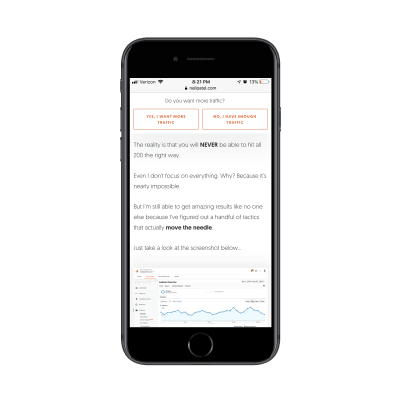 I’ve also analyzed a number of landing pages on mobile so you can see how the design criteria may change based on what you’re promoting and who you’re trying to promote it to. This is a content-packed home page, even for mobile. A page like this must mean that they’re prepared to have visitors wade through all of the options and opportunities available on the website. As you know, this can be a gamble on mobile what with conversion rates historically lower on those devices. Technically, this is a lead capture pop-up. 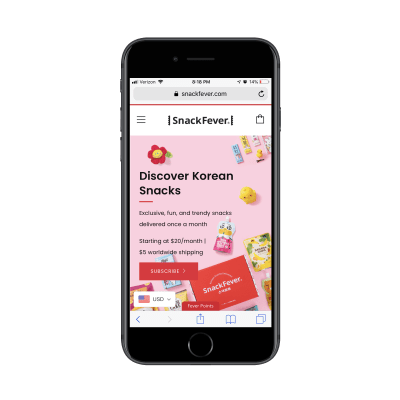 However, on mobile, SnackFever has turned this into a full page design (which is a much better choice). This is a pretty awesome example of why you should be designing different experiences for different devices. You can see that this is much more succinct and easy to stay engaged with as it has a singular purpose. The goal here is to capture that lead ASAP. This is not designed to give them room to walk around the site and ponder other decisions. 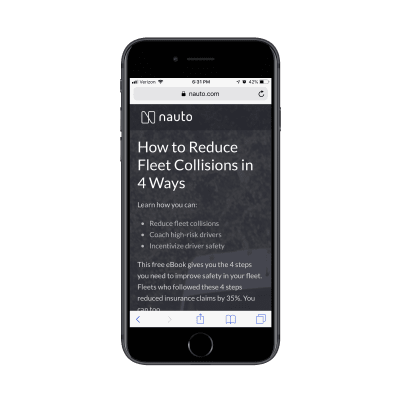 By moving potential leads over to a distraction-free landing page full of highly targeted messaging and visuals, you can improve your chances of converting them into leads. It might not be a purchase, but you’ve helped them take that first step. This is the average amount of time your mobile visitors spend on your website. This data point will be helpful in determining, realistically, how long you have to capture and hold the attention of your mobile visitors. This lets you see how individual pages perform in terms of time on page with mobile visitors. Look closely at any pages that have a strong and singular CTA, like a dedicated service or product page. 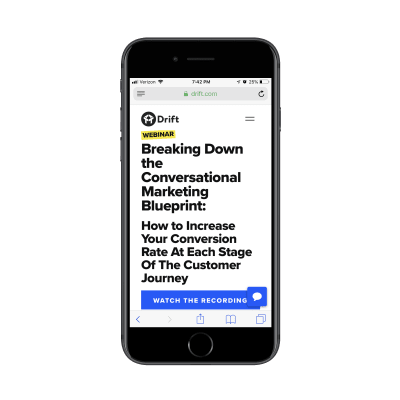 You can use those times as an average benchmark for how long mobile visitors will stay engaged with a page that’s similarly structured (like your lead capture page). Now that you have an idea of what your mobile visitors’ threshold is, you’ll be better prepared to design a lead capture page for mobile. The only thing is, though, it’s not that cut-and-dried. Write a headline under 10 words. Write a memorable description under 100 words. Instead, you’ll have to think dynamically about how your lead capture page will best convert visitors to it. The navigation menu is a critical part of any website. It allows visitors to move around the site with ease while also gaining a better understanding of all that’s available within the walls of it. But lead capture pages don’t exist within a website’s navigation. Visitors, instead, encounter promotional links or buttons on web pages, in emails, on social media and via paid ads in search. Upon clicking, they’re taken to a landing page that’s reminiscent of the website, but has a unique style of its own. 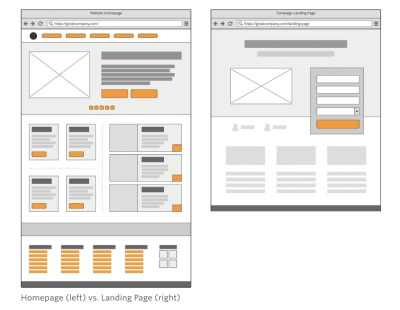 Should your lead capture page include the main website’s navigation atop it? 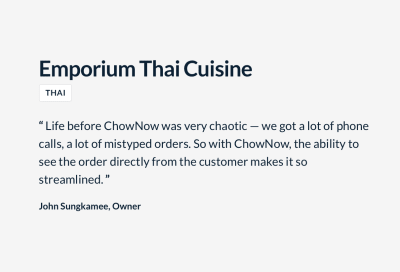 I’d say that the navigation should only be included when the website is already successfully converting visitors into paying customers/subscribers/members/readers. If the lead gen is merely there as a bonus element, then it’s not a big deal if visitors want to backtrack to the site. In general, if you need this lead gen offer to truly be a vehicle to grow your email list, the navigation should not be there. Nor should other competing links that draw them away from conversion. Bolding, italics, hyperlinks and other stylized text to call attention to key areas. Write only as much copy as you need to. That is indeed the case with mobile lead capture pages… but there’s a catch. A short form asking for the basics: name, email and maybe a phone number. A brightly colored and personally worded call-to-action button. If you’re building a lead capture page for a well-established brand that’s known for overly-long pages and whose leads are valued at over $1,000 each, a super lengthy lead capture page is fine. If you’re building a lead capture page for a newish brand that simply wants to grow their email list fast, don’t make visitors wait to convert. What’s interesting here is that this part of the page essentially rewrites the intro at the top of the page. My guess is that they did this to strengthen the SEO of the page with a longer word count and a reiteration of the main keywords. Clearly, you can still write a whole bunch of copy after the lead gen form, so long as there’s a good reason for it. 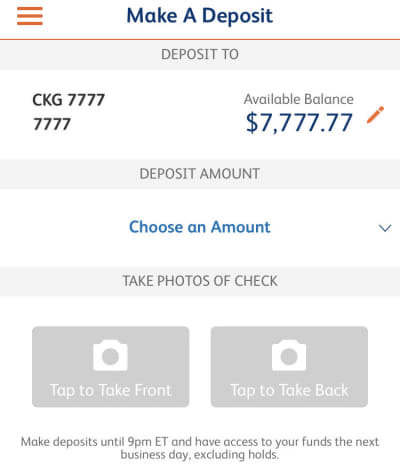 Nick Babich has a great piece on how to design forms for mobile. Although the guide pertains more to e-commerce checkout forms, the same basic principles apply here, too. There are a number of other factors you should consider when designing forms to capture leads on a dedicated landing page. Where should you place the form? I’ve mostly answered that question in the above point about copy. But, if we want to be more specific, the lead capture form should always appear within no more than three swipes on mobile. Realistically, the initial glance at a lead capture page should be an engaging visual element and headline. The next swipe down (if needed) should be an explainer paragraph and short list of benefits. Then, you should take them right to the form. They’ve truncated all of those key intro elements into the top header design. Can you write the labels differently? No, labels should never be tampered with, especially on mobile. Keep them clear and to the point. Name. Email. Business. # of employees. Etc. What you can and should do differently, though, is to create more engaging form titles and CTAs. Or you can encapsulate the form within brightly-colored borders. The whole point of this page is to convert visitors on a single element. While you can’t play with the field labels, you can increase their engagement with the outlier text and design. How many fields should you include? The answer to this is always “only the ones that are necessary”. However, you don’t want to go too far towards the simple side if the purpose of the lead gen is to qualify leads. If all you’re doing is growing an email list, sure, Name and Email will suffice. 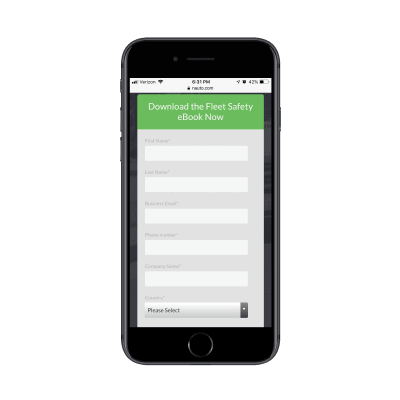 If your goal is to provide something of value to the people who really need it and, later, follow up and start them on the sales journey, the lead capture form needs to be longer. You can tell right away they’re not trying to give this eBook out to any and everyone. This is for a specific kind of business and they’re likely going to filter the leads they receive from it based on job title and country, too. It’s a simple enough series of questions, but also not the kind you would find on most lead capture forms. So, don’t be afraid to break outside the norm if it improves the value of the lead gen offer for the visitor and helps your client collect better data on their leads. Trust marks are often used around mobile e-commerce checkout forms. That makes a lot of sense since the goal is to make mobile visitors comfortable enough to buy something from their smartphones. But are trust marks necessary for lead capture pages? I think this boils down to what kind of lead gen you’re giving away and what kind of communication you intend to have with the lead after they’ve filled out the form. 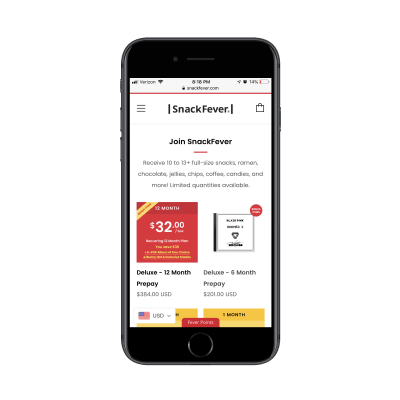 Take the SnackFever example above. It’s a fun little game they’ve put on their site that exchanges a discount for an email address. There’s no reason for SnackFever to put a Norton Security or SSL trust mark next to the form. It’s very low stakes. But when the lead gen’s value is dependent on the knowledge and skills of the company behind it, it’s very important to include trust marks on the page. In this case, you want to demonstrate that there are satisfied customers (not leads) who are willing to vouch for the capabilities and prowess of the company. If you can leverage well-known brand logos and flattering testimonials from individuals, your landing page will more effectively capture the right kinds of leads (i.e. the ones willing to enter the sales funnel after they get their lead gen). It’s no surprise that someone like Neil Patel would leverage these kinds of trust marks — he has a lot of high-profile and satisfied customers. It would be silly not to include them on his lead capture page. While I wouldn’t suggest the length or style of this page for your clients, I do think there’s a great lesson to be taken away here in terms of leveraging the words and reputations of a satisfied client base to build trust. While I have a hard time justifying the use of a navigation on a lead capture page, I actually do think a footer is a good idea. That said, I don’t think it should be the same as your website’s footer. Again, we want to avoid any design element stuffed full of links that can distract from the goal of the page. 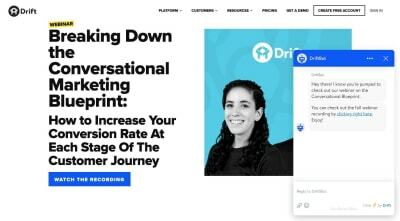 I’m including this final example from Drift because, well, it’s the most unique lead capture “page” I’ve encountered thus far — and because the footer is as simple as they come. This is further proof that you should be designing different experiences based on the expected outcomes on each device. 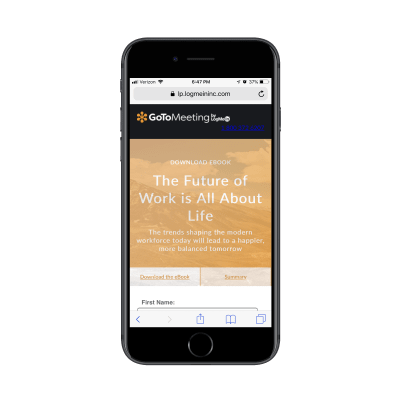 In this case, they probably have data that shows that desktop visitors watch the webinar right away while mobile visitors wait until they’re on a larger-screened device. 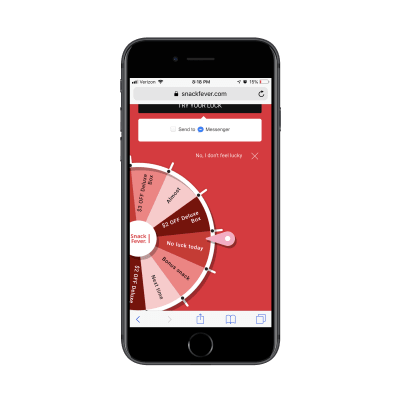 While adhering to basic mobile design principles is the best thing to do when designing something new for your clients, be mindful of the purpose of the new element or page too. As you can see in many of the examples above, there’s a stark difference between the kinds of lead gen offers your clients may want to share with visitors. The simpler exchanges (e.g. give me your email/get this checklist) don’t require much deviation from the designs of other mobile web pages. More high stakes exchanges (e.g. give me your information/get a custom quote, consult or demo) may require some non-mobile-friendly design techniques. 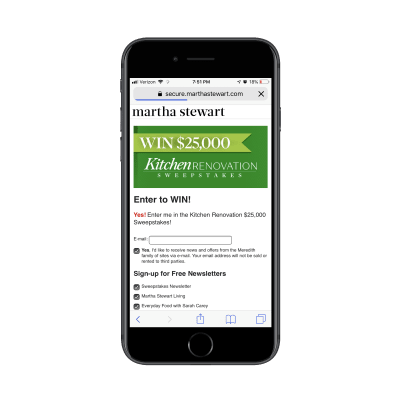 I would suggest you do your research, see how long you can realistically hold your visitors’ attention on mobile and design it. Then, start A/B testing your design to experiment with form construction, page length, and so on. You may be surprised at what your mobile visitors will go for if the lead gen offer is juicy enough. Markdown is a lightweight text markup language that allows the marked text to be converted to various formats. The original goal of creating Markdown was of enabling people “to write using an easy-to-read and easy-to-write plain text format” and to optionally convert it to structurally valid XHTML (or HTML). Currently, with WordPress supporting Markdown, the format has become even more widely used. The purpose of writing the article is to show you how to use Node.js and the Express framework to create an API endpoint. The context in which we will be learning this is by building an application that converts Markdown syntax to HTML. We will also be adding an authentication mechanism to the API so as to prevent misuse of our application. Our teeny-tiny application, which we will call ‘Markdown Convertor’, will enable us to post Markdown-styled text and retrieve an HTML version. The application will be created using the Node.js Express framework, and support authentication for conversion requests. We will build the application in small stages — initially creating a scaffold using Express and then adding various features like authentication as we go along. So let us start with the initial stage of building the application by creating a scaffold. Use the npm init command to create a package.json file for your application. This command prompts you for a number of things like the name and version of your application. For now, simply hit Enter to accept the defaults for most of them. I’ve used the default entry point file as index.js, but you could try app.js or some other depending on your preferences. Now browse to the URL http://localhost:3000 to check whether the test file is working properly. If everything is in order, we will see a Hello World!’ greeting in the browser and we can proceed to build a base API to convert Markdown to HTML. The login endpoint will allow the application to authenticate valid requests while the convert endpoint will convert (obviously) Markdown to HTML. Below is the base API code to call the two endpoints. The login call just returns an “Authenticated” string, while the convert call returns whatever Markdown content you submitted to the application. The home method just returns a ‘Hello World!’ string. We use the body-parser middleware to make it easy to parse incoming requests to the applications. The middleware will make all the incoming requests available to you under the req.body property. You can do without the additional middleware but adding it makes it far easier to parse various incoming request parameters. Now that we have our dummy stub functions in place, we will use Postman to test the same. Let’s first begin with a brief overview of Postman. Postman is an API development tool that makes it easy to build, modify and test API endpoints from within a browser or by downloading a desktop application (browser version is now deprecated). It has the ability to make various types of HTTP requests, i.e. GET, POST, PUT, PATCH. It is available for Windows, macOS, and Linux. Click on the ‘Send’ button. 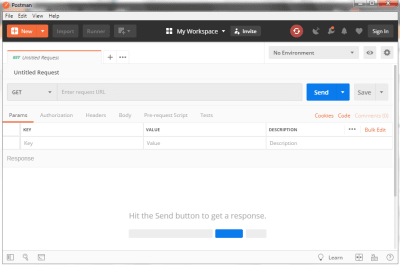 Postman will then send the request to the application, retrieve any responses and display it in the lower window. This is the basic mechanism on how to use the Postman tool. In our application, we will also have to add other parameters to the request, which will be described in the following sections. Now that we have seen an overview of Postman, let’s move forward on using it for our application. 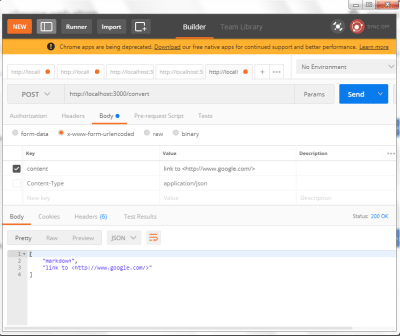 To test the base API code, we make API calls to the application from Postman. Note that we use the POST method to pass the text to convert to the application. The application at present accepts the Markdown content to convert via the content POST parameter. This we pass as a URL encoded format. The application, currently, returns the string verbatim in a JSON format — with the first field always returning the string markdown and the second field returning the converted text. Later, when we add the Markdown processing code, it will return the converted text. The main converter code is in the /convert endpoint as extracted and shown below. This will convert whatever Markdown text you post to an HTML version and return it as a JSON document. So, for example, we can set an option to automatically insert and link a specified URL without any markup. There are many options to modify how the Markdown is processed. A complete list can be found on the Passport.js website. So now we have a working Markdown-to-HTML converter with a single endpoint. Let us move further and add authentication to have application. Exposing your application API to the outside world without proper authentication will encourage users to query your API endpoint with no restrictions. This will invite unscrupulous elements to misuse your API and also will burden your server with unmoderated requests. To mitigate this, we have to add a proper authentication mechanism. We will be using the Passport package to add authentication to our application. Just like the body-parser middleware we encountered earlier, Passport is an authentication middleware for Node.js. The reason we will be using Passport is that it has a variety of authentication mechanisms to work with (username and password, Facebook, Twitter, and so on) which gives the user the flexibility on choosing a particular mechanism. A Passport middleware can be easily dropped into any Express application without changing much code. Install the package using npm. We will also be using the local strategy, which will be explained later, for authentication. So install it, too. Passport uses the concept of strategies to authenticate requests. 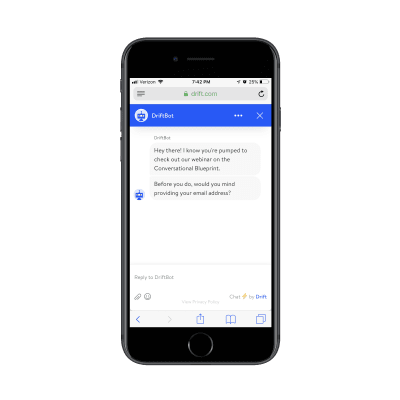 Strategies are various methods that let you authenticate requests and can range from the simple case as verifying username and password credentials, authentication using OAuth (Facebook or Twitter), or using OpenID. Before authenticating requests, the strategy used by an application must be configured. In our application, we will use a simple username and password authentication scheme, as it is simple to understand and code. Currently, Passport supports more than 300 strategies which can be found here. Although the design of Passport may seem complicated, the implementation in code is very simple. Here is an example that shows how our /convert endpoint is decorated for authentication. As you will see, adding authentication to a method is simple enough. // If this function gets called, authentication was successful. // Return a ‘Unauthorized’ message back if authentication failed. Now, along with the Markdown string to be converted, we also have to send a username and password. This will be checked with our application username and password and verified. As we are using a local strategy for authentication, the credentials are stored in the code itself. Although this may sound like a security nightmare, for demo applications this is good enough. This also makes it easier to understand the authentication process in our example. Incidentally, a common security method used is to store credentials in environment variables. Still, many people may not agree with this method, but I find this relatively secure. The complete example with authentication is shown below. // Send a ‘Authenticated’ string back. A Postman session that shows conversion with authentication added is shown below. Here we can see that we have got a proper HTML converted string from a Markdown syntax. Although we have only requested to convert a single line of Markdown, the API can convert a larger amount of text. This concludes our brief foray into building an API endpoint using Node.js and Express. API building is a complex topic and there are finer nuances that you should be aware of while building one, which sadly we have no time for here but will perhaps cover in future articles. The example code to send a request to our API and get the response is given below. As you can see, the request package simplifies the matter considerably. The markdown to be converted is in the textToConvert variable. Before running the following script, make sure that the API application we created earlier is already running. Run the following script in another command window. // If we got any connection error, bail out. When we make a POST request to our API, we provide the Markdown text to be converted along with the credentials. If we provide the wrong credentials, we will be greeted with an error message. Although we have hardcoded the Markdown here, the text can come from various other sources — file, web forms, and so on. The request process remains the same. Note that as we are sending the request as an application/json content type; we need to encode the body using json, hence the JSON.stringify function call. As you can see, it takes a very small example to test or API application. In this article, we embarked on a tutorial with the goal of learning on how to use Node,js and the Express framework to build an API endpoint. Rather than building some dummy application with no purpose, we decided to create an API that converts Markdown syntax to HTML, which anchors or learning in a useful context. 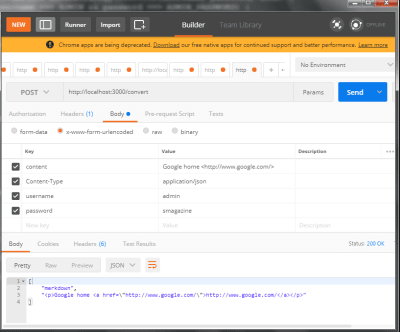 Along the way, we added authentication to our API endpoint, and we also saw ways to test our application endpoint using Postman. The post 98% Off: Get the Project Management Certification Bundle for Only $49 appeared first on designrfix.com. A list of most handy Chrome extensions specifically for web designers and developers. The post 30+ Useful Chrome Extensions for Web Designers appeared first on Hongkiat. Varun Vachhar and Catherine Maritan take the conversation of Design Systems past style guides and component libraries and get into breaking down silos between development and design. Glicky is an in-browser task runner for modern web development. Read all about the new Svelte 3, the component framework that runs at build time. A guide to understanding the importance of commit messages and how to write them well. 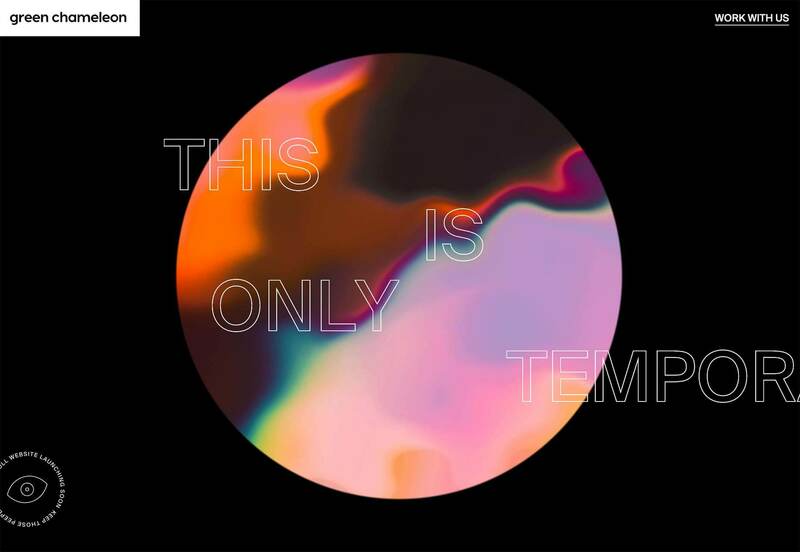 A stunning demo of a 3D scan animation made only with CSS. By Yusuke Nakaya. Scott O’Hara highlights the methods of hiding content that are most appropriate for modern web development, and notes the accessibility impacts of each. Ashish Bogawat summarizes the unique features of the new Sketch alternatives. MockIt gives you an interface to configure and create mock APIs for your applications. Learn all about Cross-Origin Resource Sharing, how it protects you, and how to enable CORS in your applications. By Steve Hobbs. Davy Wybiral made an insane little webcam, right inside of a favicon! Check out the demo. Ben Francis introduces Mozilla WebThings, an open platform for monitoring and controlling devices over the web. Trys Mudford shows how to make a special hover effect with a neat trick. Noah Yamamoto explains how to create an artsy mouse trail animation. Jason Bailey writes about Automat und Mensch, a show on the history of generative art. Hidde de Vries explains how browsers decide on the names for links, form fields, tables and form groups. A port of the AI4Animation project, for use with Three.js on the web. It explores the possibilities of using artificial intelligence to generate realtime character animations. 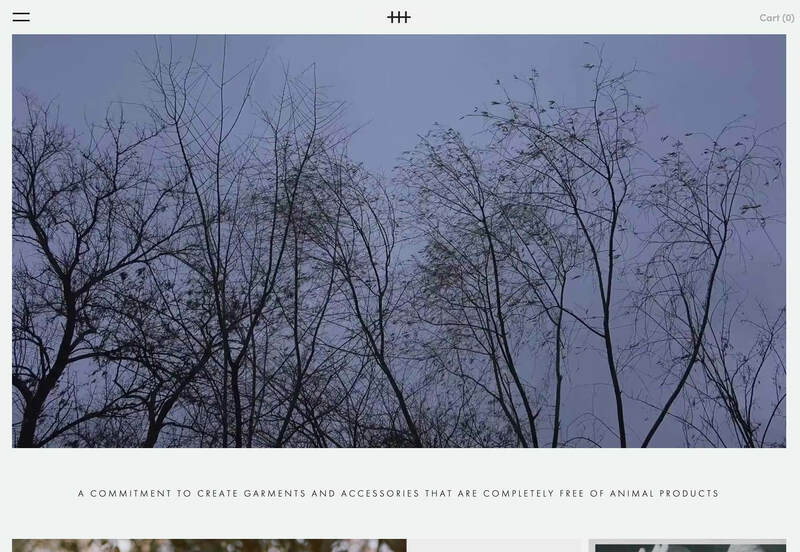 Tobias Reich made this great hover effect that starts from where you hover with the mouse. A tutorial on how to create and animate rotated overlays, or “reveal” elements, for interesting page transition effects. Collective #510 was written by Pedro Botelho and published on Codrops. Welcome to our roundup of the best new sites to be launched (or relaunched with significant updates) in the last four weeks. 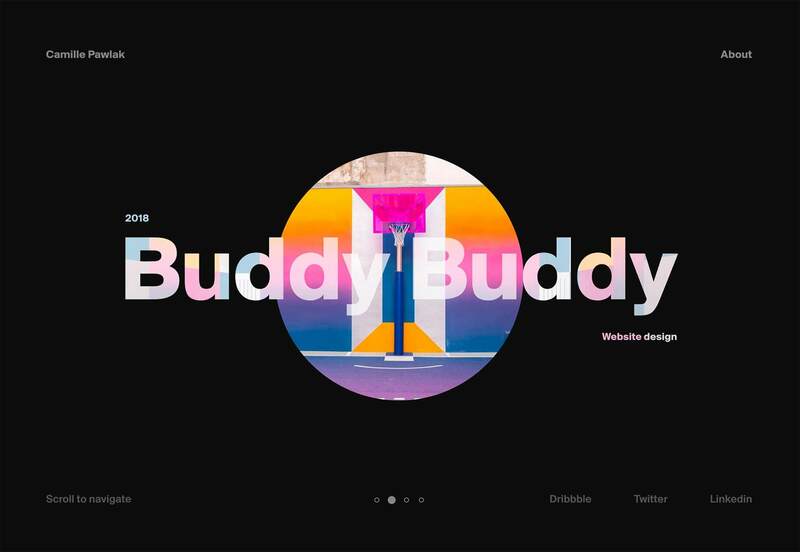 After last month’s flirtation with monochrome, this month’s set of sites return to the overriding trend of 2019: color. Huge images are still popular, and parallax is still finding its way into our scrolling experiences. Enjoy! 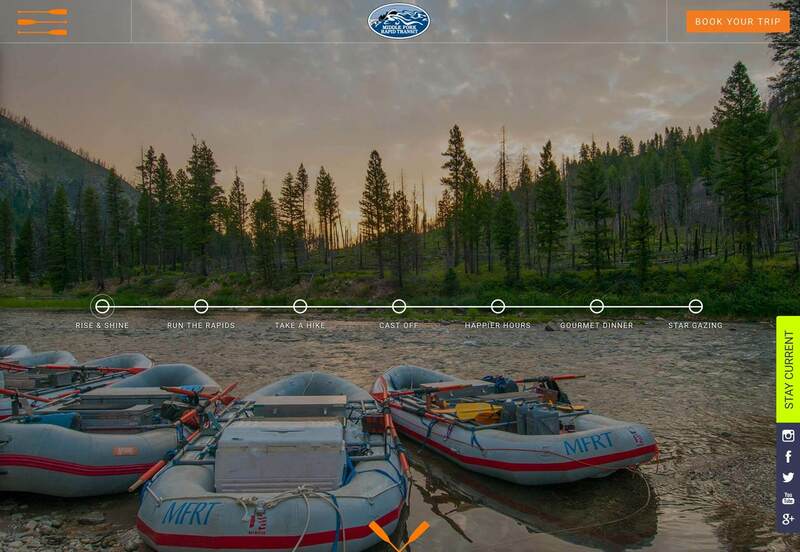 Middle Fork Rapid Transit is an adventure vacation company that transports you over 100 miles down the Middle Fork river in Idaho. Its site packs in as much as one of its trips, and there’s tons of little details to get you fired up; I love the animated raft, and the grub looks amazing. 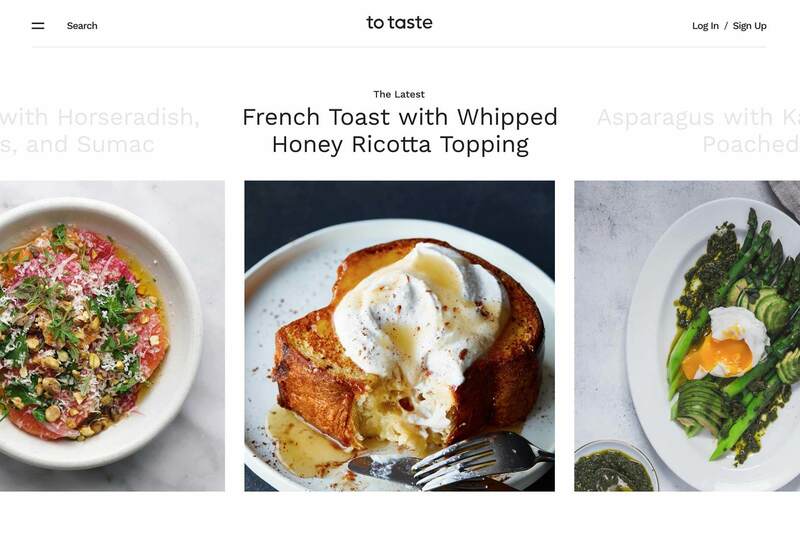 To Taste is my favorite recipe site of the moment. Packed with food ideas for every occasion and palette, the simple site is laid out perfectly for browsing, and choosing something to make is a culinary treat. What really makes it, as with all food sites, is the mouth-watering photography. 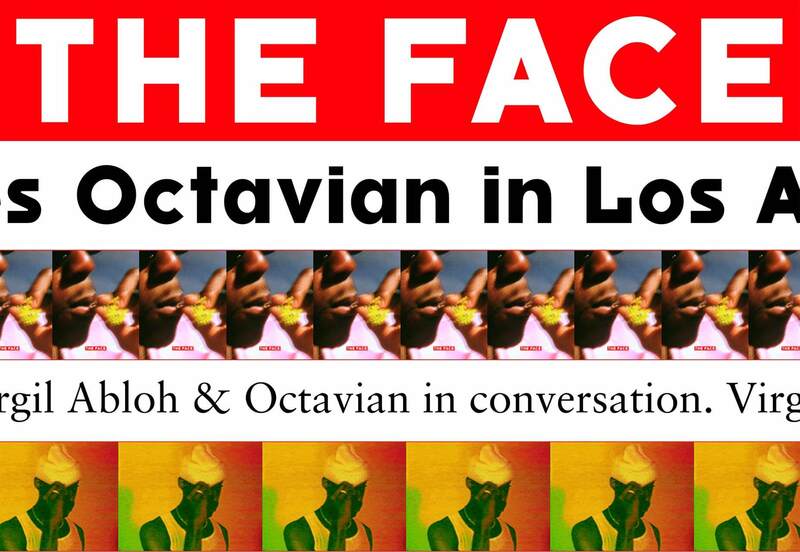 Style bible The Face returned from oblivion this month, with a new team behind the iconic publication. Its site opens as daringly as you’d expect, before slowing to a more traditional, and more usable blog format. 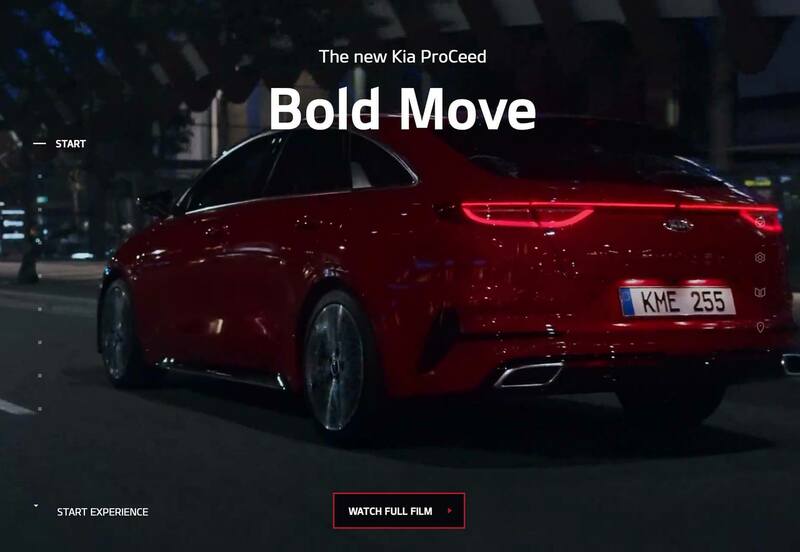 The site for the new Kia ProCeed is precisely the type of site we used to build back in the day. With interactive video, a unique navigation system based on established design patterns, and carefully designed usability, it’s an enticing experience. Co-founded by Rooney Mara, Hiraeth is a fashion label that produces desirable clothes free from any animal product. Its elegant site exudes quality with generous white space, and an almost Scandinavian minimalism, matching the garments perfectly. According to some estimates, we have just 12 years until we face not just climate change, but climate breakdown. 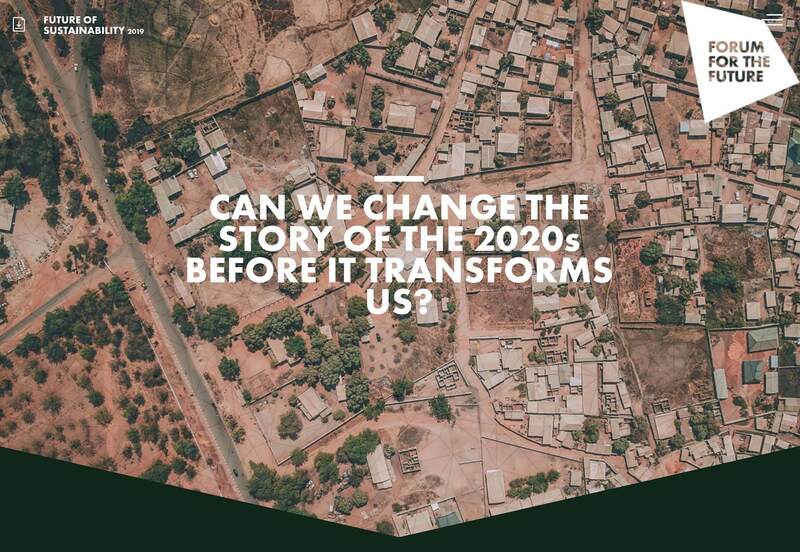 Future of Sustainability wants to inspire you to change the 2020s, before it’s too late. It communicates a complex, and difficult message engagingly. 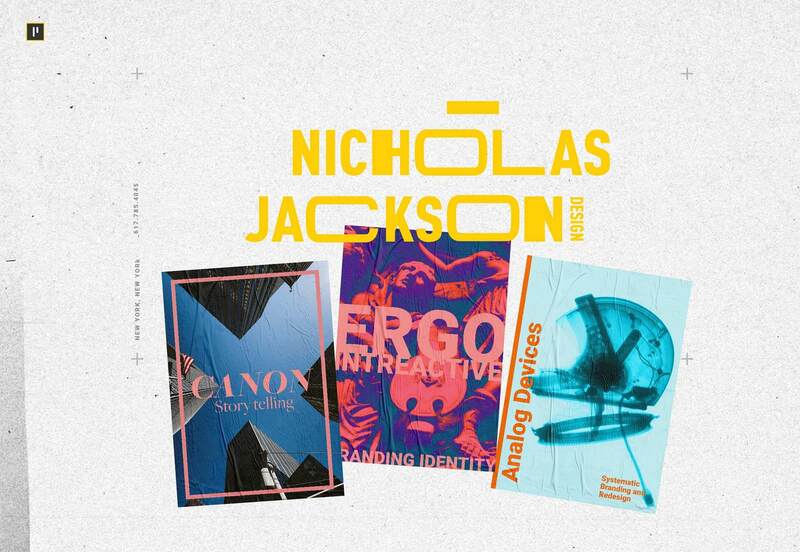 Nicholas Jackson is a New York based designer and art director. His portfolio site is a bold, confident expression of the work he loves to do for clients including Canon, The Wall Street Journal, The NY times, and Siemens. Mansi makes some of the best pasta this side of Naples, and it has an equally delicious website. 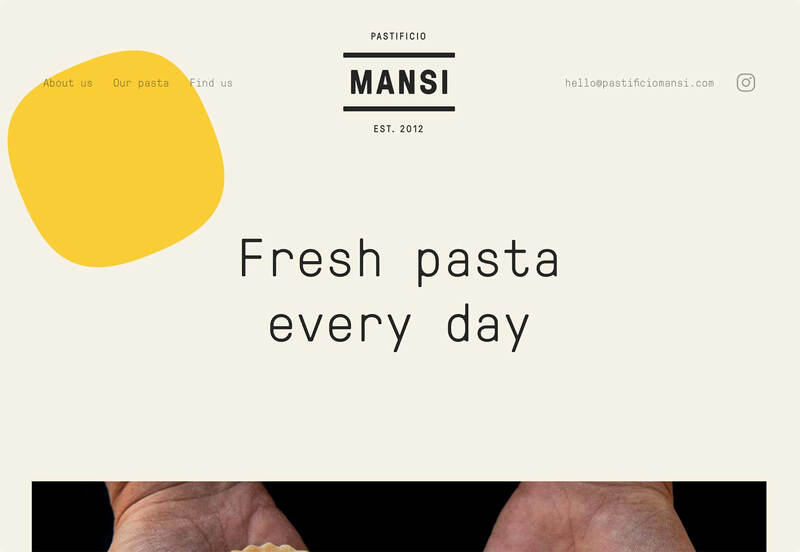 Dotted throughout the site are pasta shapes, some of them animated, making Mansi’s site the most appropriate exponent of the blob trend I’ve seen to date. Azab is an architecture firm with a love of mouse trails. Despite most designers abandoning them more than a decade ago, Azab’s site is built entirely around the path of your mouse on the screen. It’s surprisingly compelling. Corpus is an all-natural, all-vegan company producing deodorants that don’t harm you, or the planet. 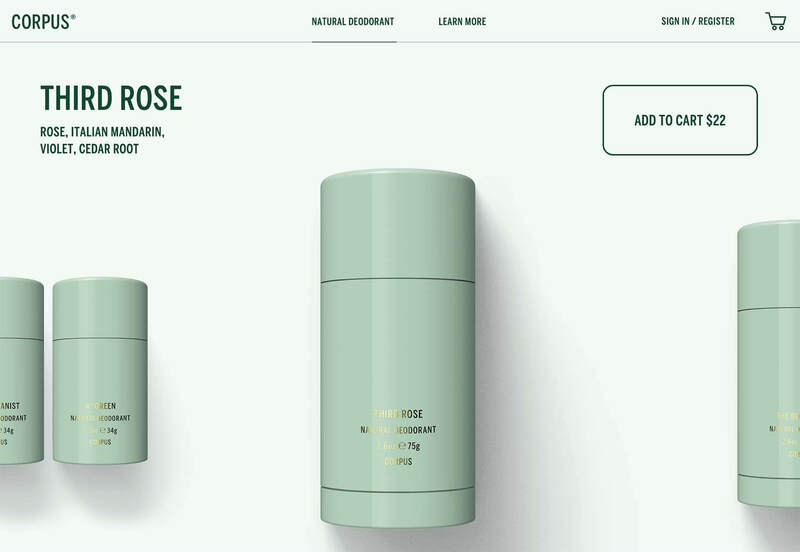 Its site intriguingly turns a standard e-commerce layout on its head, by presenting products up front, and the traditional hero video, down below. 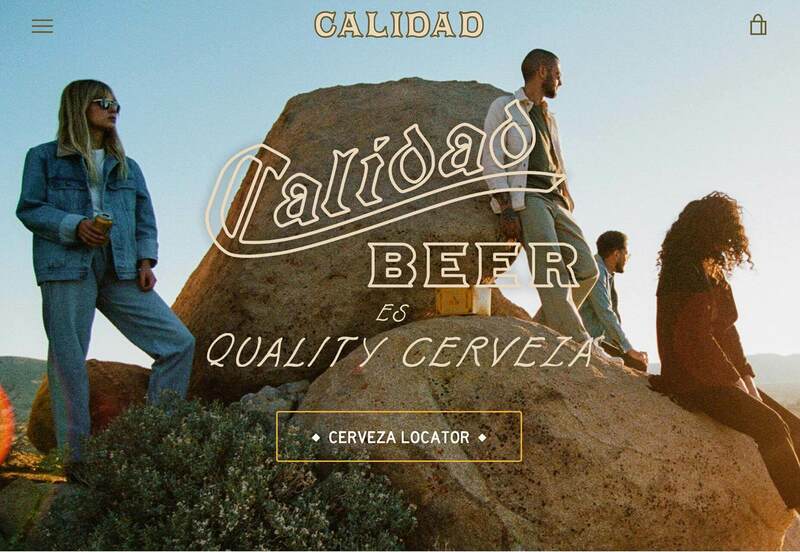 Calidad Beer is a Mexican-style beer, brewed in California. 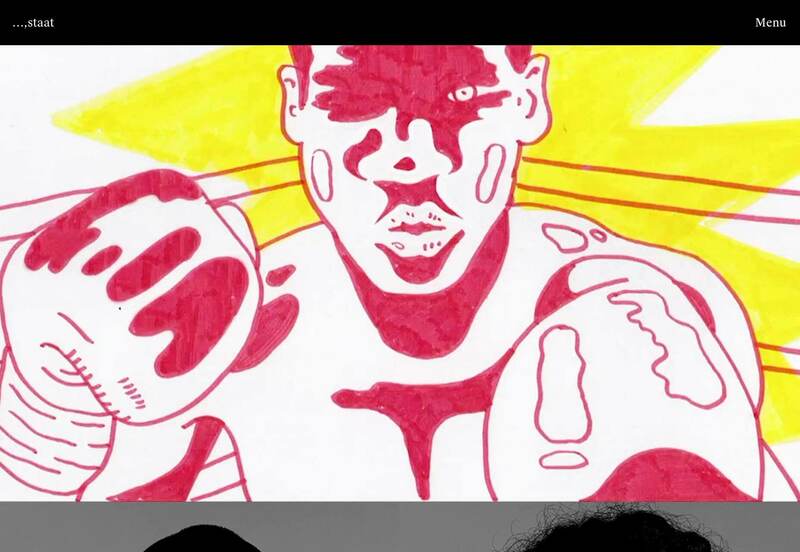 With Levis-worthy art direction, and brand appropriate animation, its site is ideal for an unknown company trying to tap into a saturated market. Constantly reinforced, the brand identity is key here. 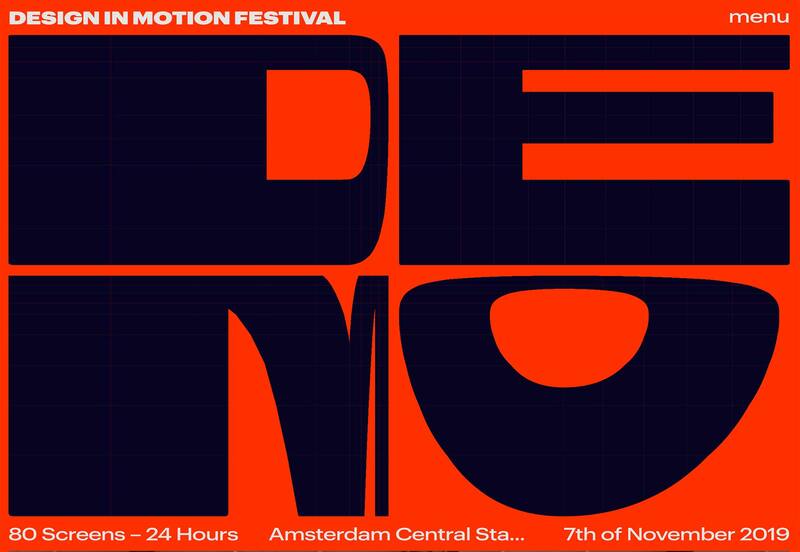 The Design in Motion Festival, or DEMO for short, takes place in Amsterdam in November, when 80 screens in the central train station will showcase the best motion design work. The site itself features beautiful interactive lettering that Saul Bass would be proud of. The online portfolio of Camille Pawlak is based around a beautiful central animation that rotates as it transforms into the next project. It’s a simple, but elegant way to navigate between projects, and the work that she’s showcasing is excellent too. Green Chameleon’s site is only temporary, with a full website redesign on the horizon. But with a portfolio like this, packed with parallax effects, and dead simple navigation, I think the Bristol agency should stick with what it’s got. 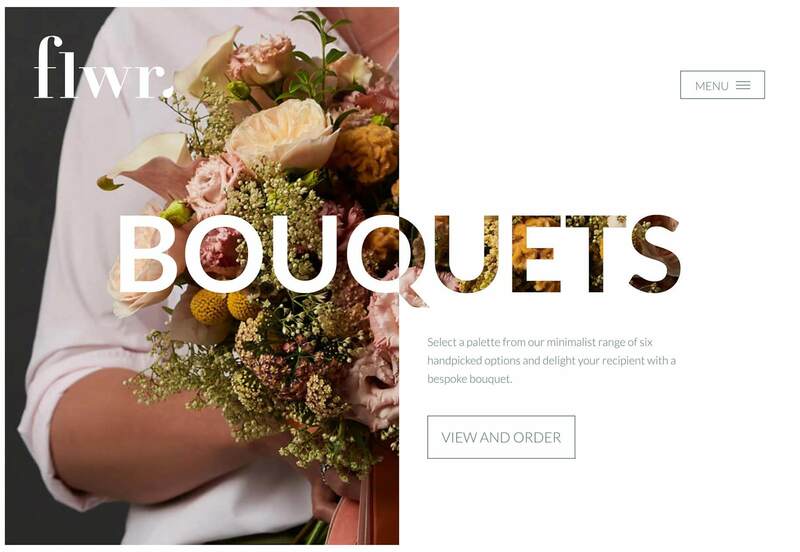 Flwr is a New Zealand based florist with a modern approach. 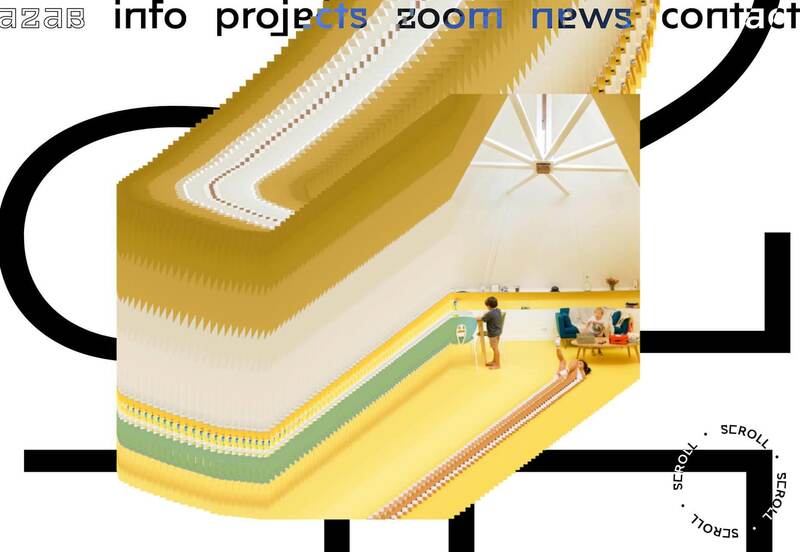 Its site uses text to mask its beautiful photography, creating an intriguing and inviting mini-site. It even embraces the split-screen trend to great effect. Daly is a PR agency founded by Alex Daly, from her contacts built helping some of the world’s most successful crowdfund campaigns reach their targets. Its site is bold, colorful, and fun. The period after its name isn’t new, but I love the way it follows you down the page as you scroll. 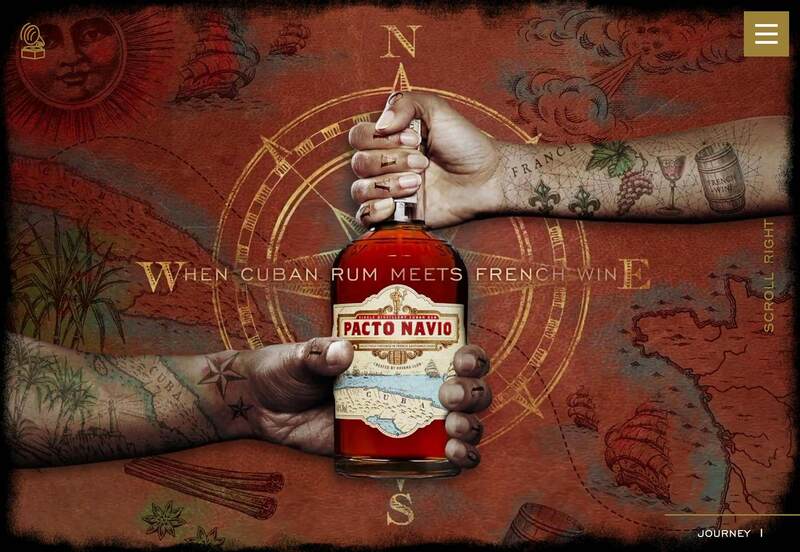 When the finest Cuban rum is introduced to French wine making traditions, you get Pacto Navio. The rum, distilled near Havana, is served by a beautifully art directed site, featuring brand illustrations, and a distinctly Caribbean feeling. The French have a reputation for refined hospitality, and that trend is reflected in their love of sophisticated web sites. 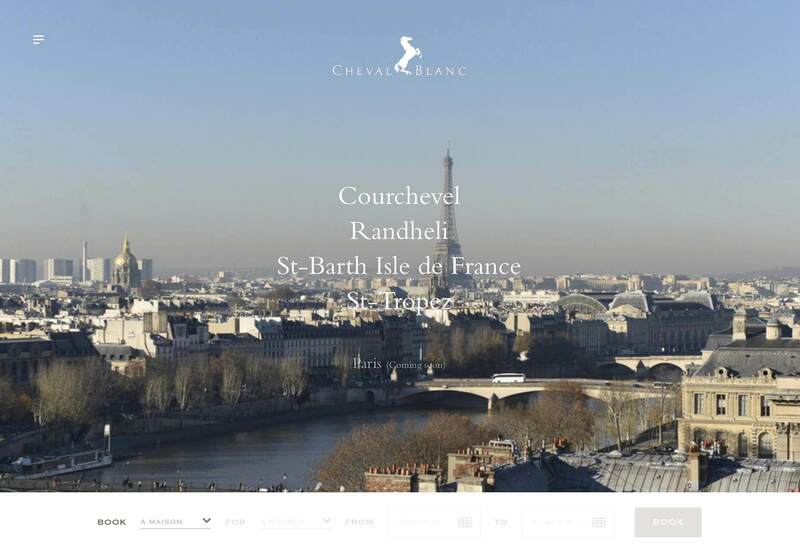 The site for Cheval Blanc is no exception, with a just-right level of parallax scrolling and refined typography. 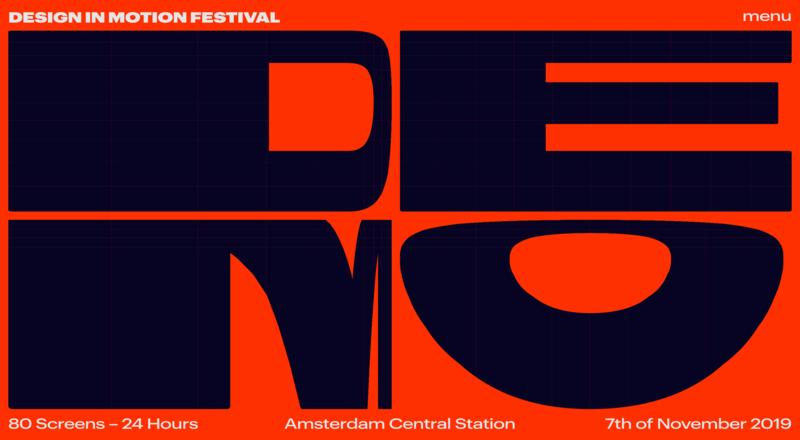 Staat is a design agency specializing in event design for some of the world’s best known names. Its site features video case studies of its work, and the site itself takes a step backwards and allows the portfolio to shine. 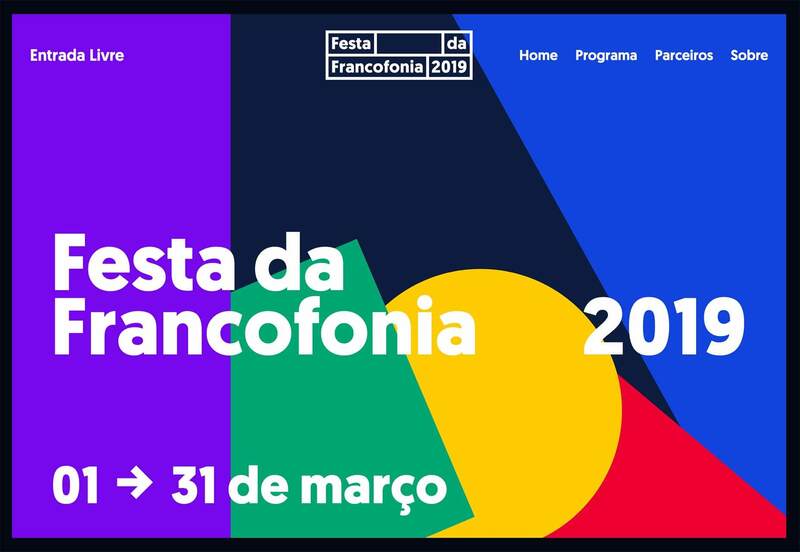 The 2019 festival for Francophones, is a festival celebrating the 220 million people worldwide who speak the French language. Celebrated from Morocco to Canada, the event’s site is a colorful, international feeling affair, appropriate for a multi-cultural event. Adam&Co. is a Boston-based multi-disciplinary creative consultancy founded and led by award-winning creative director, Adam Larson in partnership with executive producer, Allison Doherty. 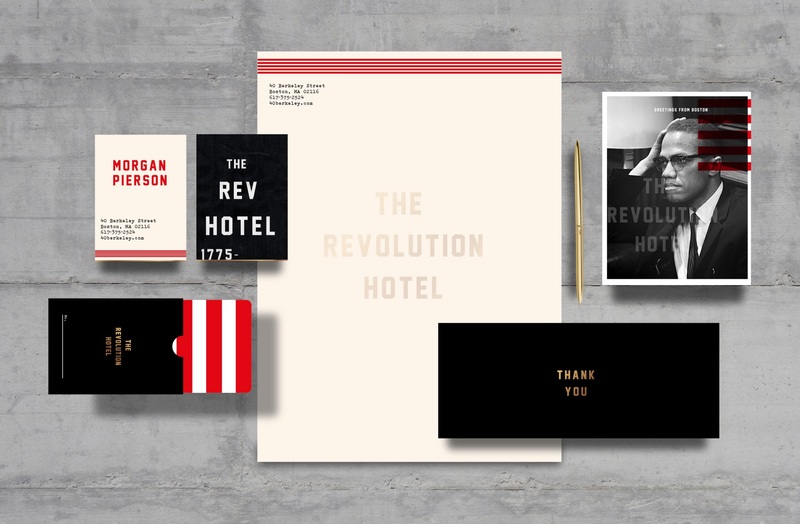 With 20+ years working with clients across nearly every industry, The Revolution Hotel is Adam&Co.’s first fully-immersive brand identity project. The Revolution presented Adam&Co. the opportunity to build a new, dynamic hotel brand from the ground up, extending their expertise into the physical realm through a multifaceted approach to experiential branding. Adam&Co. created and managed the strategic vision, branding, design, and art curation for the first-of-its-kind, boutique hotel in Boston’s historic South End. Boston has a unique way of defining and breaking convention, dating back to the American Revolution in 1775. It’s rich history is why so many people travel from all over the world, to visit the city that started it all. Adam&Co.’s creative vision for the hotel celebrates the city’s vibrant past and it’s continued efforts toward shaping the future. Catering to today’s experience-seeking global travelers, The Revolution was built to evoke the city’s revolutionary spirit through the integration of art and installations, showcasing historical figures, innovations, and events specific to Boston, recontextualized and juxtaposed through modern applications, creating a balanced mix of the old and the new. Featured artists include Tristan Eaton, The Individuals Collective, and Adam&Co. The Revolution boasts a variety of room options, including standard king with private bath, quads and triples with bunk beds and shared bathrooms, and long-term stay lofts with kitchenettes, and oversized bathrooms. The hotel also features a cafe, a gym, a large co-working space with a bar, as well as a forthcoming restaurant with outdoor patio for dining and events. Also in the works is a proprietary augmented reality app that will allow visitors a chance to navigate the content of the hotel in more depth through curated video content. The building’s history and architecture became a great source of inspiration when approaching the design of the hotel. An adaptive reuse project, the building itself dates back to the 1880’s when it became one of the first YWCAs in the country, a place dedicated to the empowerment of women. In 1953, a Mid-Century Modern addition was added to serve as a dormitory for young women who were joining the workforce after WWII. The developers, architects and design team all took great care to celebrate its original use as well as to embrace, preserve, and expose its original architecture. Adam&Co. commissioned world-renown Los Angeles’ street artist Tristan Eaton to create a 65 ft. mural that is the centerpiece of the hotel’s lobby, and the first Boston mural by Tristan. Inspired by the famous murals at the nearby Boston Public Library, and created entirely by freehand spray paint, the mural combines carefully rendered portraits of influential Bostonians with various excerpts of the city’s history, and contributions to pop culture. Tristan also designed custom carpeting that lines the halls of the guest floors. To celebrate our lineage in science, technology and innovation, Adam&Co. partnered with Boston-based Individuals Collective to create a three-story sculptural installation featuring objects that represent significant inventions from the area. The “Innovation Tower” includes everything from microwaves and car parts, to old computers, microchips, transmitters, telephones, safety razors, Converse sneakers, basketballs, volleyballs, and typewriters. Additional art throughout the hotel includes custom wallpapers, custom stencil murals, and framed art installations all designed by Adam&Co. Adam&Co. The Revolution Hotel is the first hotel on the east coast to be managed by the boutique hotel management company Provenance Hotels. It is owned and was developed by the Mount Vernon Company, with Creative Direction provided by Adam&Co., designed in partnership with PCA Architects. Today we’d like to explore a specific reveal effect with you. If you saw the Crossroads Slideshow a while back, you might have noticed the page transition when the content is shown after an image gets clicked. We call this type of transitions a “reveal” animation because some content is already there while an overlay element animates out, revealing what’s underneath. To make such an effect is pretty straightforward: simply place an overlay with the same or different color of the page background and animate it out of the viewport; whatever is under it will show. But there are two challenges here: one is if you’d like the overlay itself to have some content which you want to conceal, i.e. which you want to get cut off while hiding it and not simply move along with the parent when animating it out. The other challenge is to add a rotation and guarantee that the overlay covers the whole screen so that no gaps are shown when you move it out. When combining these two effects, things get really interesting. So let’s tackle these two challenges in this little tip today and show some of the many possibilities for how to use these techniques in a page design. The demos are kindly sponsored by Northwestern: Earn your MS degree entirely online. If you would like to sponsor one of our demos, find out more here. Attention: Highly experimental prototyping, please view in a capable browser. The beauty of the reveal effect is that the technique is very simple, yet the result is so interesting: take any element that has its overflow set to “hidden” and animate it in some direction, while animating its child in the opposite direction. This creates a “cut off” look, the content appears to be steady in one place, as if we’re animating some kind of clipping mask. Yet we are only translating elements. And that’s it! Now, if you want to spice things up a bit, you can add a different duration or easing to the reverse element or other animations to the inner elements. The effect becomes a little bit more complicated when we want to add a rotation. When we rotate an element it will create gaps and not cover the background entirely anymore. So we need to make sure that it’s width and height is set in such a way that when rotated, there are no gaps. Technically, we’re want the (minimum) bounding box of a rotated rectangle. Additionally, we have to make sure that we keep the previous structure in place and that we show the content straight. So we need to rotate the content back. To ease our animation and not tinker with calculations we avoid moving the rotated content, but instead we’ll use the resized container for the motion. Given this structure, there are really endless possibilities for rotated reveal and overlay animations. Think of multiple overlays. Think of matching animations of the elements that are being revealed or the ones that get hidden. Have a look at our little compilation, we hope you enjoy it! How to Create and Animate Rotated Overlays was written by Mary Lou and published on Codrops. The ordinary world is where the user starts (their every day) before they’ve met your website. 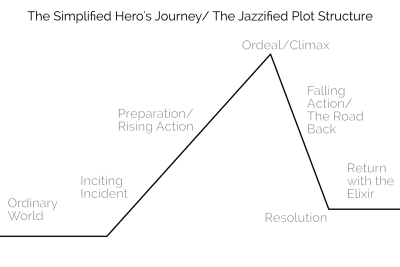 Near the beginning of any story, something will happen to the hero that will push (or pull) them into the story (the inciting incident/call to adventure). It will give them a problem they need to resolve. Similarly, a user has a problem they need to be solved, and your website might be just the thing to solve it. Sometimes though, a hero would rather stay in their safe, ordinary world. It’s too much cognitive trouble for the user to check out a new site. But their problem — their call to adventure — will not be ignored. It will drive the user into interacting with your site. They’ve found your website and they think it might work to solve their problem, but they need to gather information and prepare to make a final decision. In stories, the ordeal is usually the fight with the big monster, but here it’s the fight to decide to use your site. Whether they love the video game news you cover or need the pen you sell or believe in the graphic design prowess of your agency, they have to make the choice to engage. Having made the decision to engage, the road back is about moving forward with that purchase, regular reading, or requesting the quote. Where they apply your website to their problem and their problem is *mightily* solved! The user returns to the ordinary world and tells everyone about their heroic journey.